Corvus Energy, Siemens AS and Østensjø Rederi strengthen partnership with second offshore vessel project. The new 150m MPSV to be named the Edda Freya will incorporate a 1050VDC, 546kWh Corvus ESS consisting of 84 Corvus Energy AT6500 advanced lithium polymer battery modules. This new project follows on the heels of the Edda Ferd hybrid platform supply vessel (PSV) project completed by the same partners in 2014. The Corvus ESS will again be integrated with the Siemens BlueDrive PlusC ™ electric propulsion solution that will provide efficient hybrid propulsion to the new MPSV and also provide backup power in the case of blackout. Edda Ferd and Edda Freya are part of Østensjø Rederi’s environmental concept “Mindset”. The vessels optimize the use of diesel generators and ESS to significantly reduce fuel consumption and emissions, allowing a 20 to 25% energy savings over comparable vessels. “We are very pleased to partner again with Siemens and Østensjø, this time on the Edda Freya MPSV” said Andrew Morden, President and CEO, Corvus Energy. “Balancing environmental protection and profit is not an easy task in the North Sea. We are proud to supply an ESS to the vessel that can meet the operational rigors of offshore service.” Corvus’ lithium polymer energy storage technology is an effective solution for hybridization of commercial vessels with dynamic duty cycles. It provides the consistent power and reliability to support greatly improved efficiencies of marine propulsion systems. With a large market share and multiple hybrid systems deployed with Siemens and their customers, Corvus Energy has the breadth of experience and expert personnel to ensure this new ESS performs well now and far into the future. 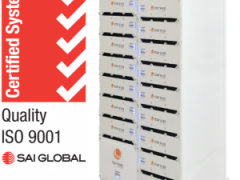 Corvus Energy provides high power energy storage in the form of modular lithium Ion battery systems. 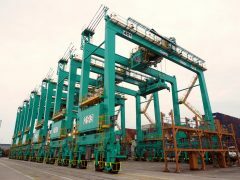 Its purpose built, field proven battery systems provide sustained power to hybrid and fully electric heavy industrial equipment, including large marine propulsion systems. 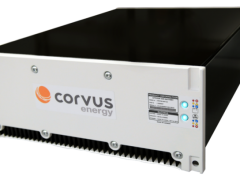 For more information, please visit www.corvus-energy.com. Since 1973, Østensjø has delivered top quality marine services in the offshore and towage sectors worldwide. The focus on recruiting and training quality staff to deliver quality service, has turned Østensjø into one of the most highly regarded marine services companies in the world. With one of the newest fleets in the industry, and the most well maintained vessels in the world, Østensjø believes in providing the highest standard of service to its customers.